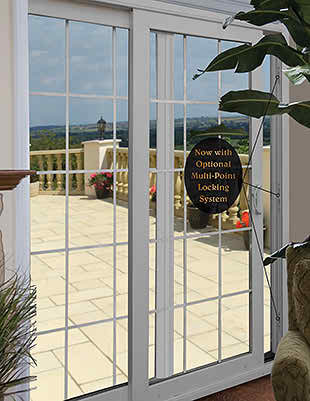 Optional Four Point Locking system. 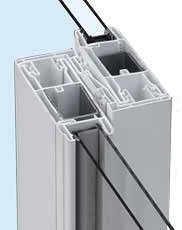 Thermally welded multi-chambered 5-5/8″ vinyl frame provides superior strength and thermal insulation. 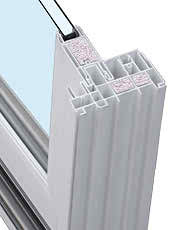 Shown with optional Foam Filled Insulated Extrusions for better thermal efficiency. 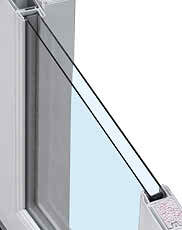 (Insulation type may vary during the manufacturing process) 4mm glass unit with Heatseal® Spacer which gives your home excellent thermal efficiency and drastic reduction of condensation. Interlocking meeting rail system with double weather-stripping for controlling infiltration of air, water, dust, and noise.Interlocking meeting rail system with double weather-stripping for controlling infiltration of air, water, dust, and noise. 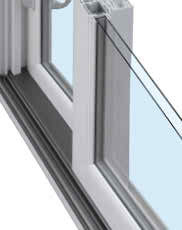 Operating sash is equipped with adjustable, precision bearing tandem rollers for a smooth and quiet operation. 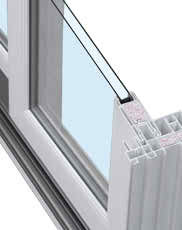 All result numbers are based on tested window sample by NFRC & AMMA testing window guidelines. Use for comparison purposes only. Actual values may vary depending on installation, size of the window, and other conditions. Okna Windows offers ThruVision® Screen which improves view thru the window protecting interior from insects and allowing perfect ventilation.